The cake got lost. Mr. Plumpert is totally devastated. He had it ready for a afternoon snack and placed it on a window ledge. He looked forward to it all morning. Many times, he felt its scent and imagined how delicious it would taste. We have recorded all the evidence. The crime is clear. Now is the time to send out the best detectives and find a solution to this mystery. We all suspect, that the offender will be one of the family of foxes. They are known for their disrespect for the laws. 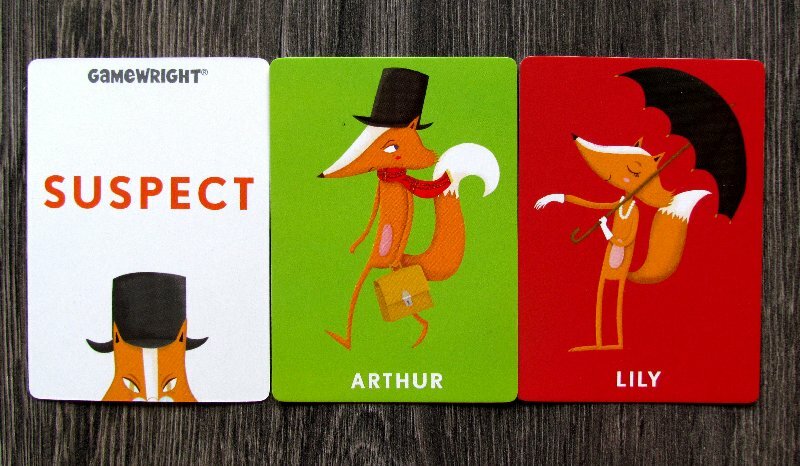 And that’s what the detective players will be doing in the Outfoxed board game, which Gamewright studio and its designers have prepared for us. Mélaine Grandgirard took care of the illustration and the atmosphere. 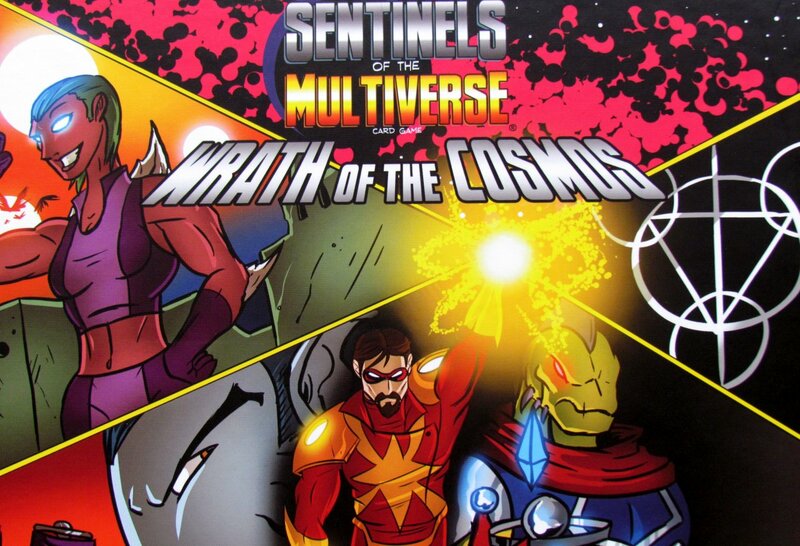 Whole box was published in 2015. On the lid, we can see one fox hiding from detective hen’s. Inside, a large board with covered with squares is waiting for us, showing the map of the whole town, and the hints (footprints) spread out on it. This board is placed in the middle, each player then chooses one hat representing his detective character and placing it on start box in the center. The orange fox figurine then begins its pilgrimage on the first space of the gray path, that runs across the board and shows escape route. 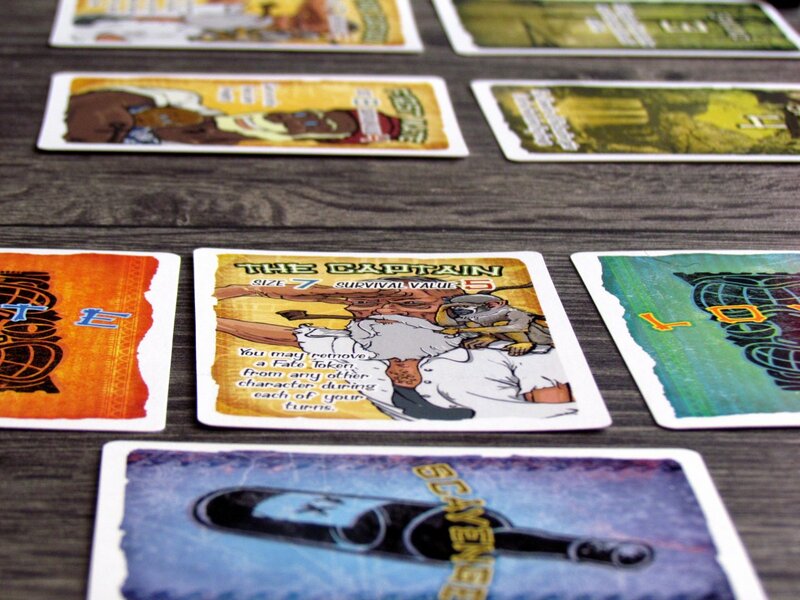 Then it is time to take advantage of the pair of decks – sixteen cards of the suspects are distributed evenly around the plan in four-card groups on each side of the board. Two characters out of these sixteen are revealed. From second pack containing thieves (as the back side of card says), players randomly select one card and without looking at it, they hide it in a plastic decoder. It stays there until the end of the match. There are only some dots on the card, that indicate the conclusive evidence (clothing and equipment) of the perpetrator. Stack of dozen tokens is shuffled to the side and creates a supply. Starting player gets three dice and now has a total of four attempts (first and then three optional re-rolls). Before he uses dice first time, he must speak out his intention. Does he want to roll clues or suspicious symbols? Depending on this, the resulting action will vary. First, however, he must succeed and roll a set of the same symbols on all dice with four attempts. He may put any dice aside whenever he wants. If he chooses to search for clues, there are one or two feet on the sides of the dice. If the player fails to get announced result on all the dice after the fourth roll, then he fails in his turn. And instead of his action, he moves the figurine of the fox (thief) three spaces forward. But usually, players will want to see another result. Same symbols on dice mean that the player will be able to benefit for his team. In the case of clues, player can move his cap (= detective) by the same number of boxes as there are footprints on dice and all this in any combination of horizontal and vertical motion. Diagonal walking is forbidden. An interesting situation happens when the hero stops on a space with a clue symbol. 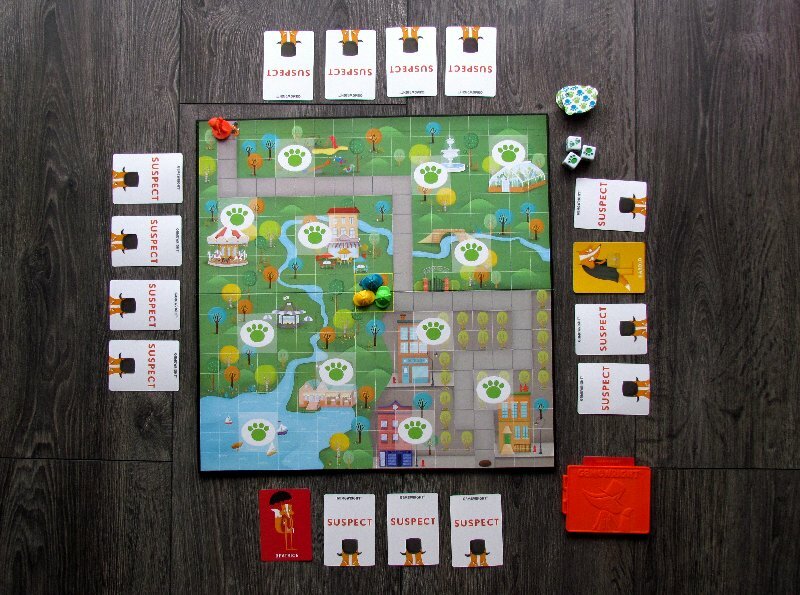 There are a total twelve of them on the board and will allow the player to accidentally draw one tile from the stock and place it on that visited spot. But he also gets a chance to insert that token into the deduction device. Once token is firmly there, player moves slide away to reveal whether the object found belongs to the perpetrator. 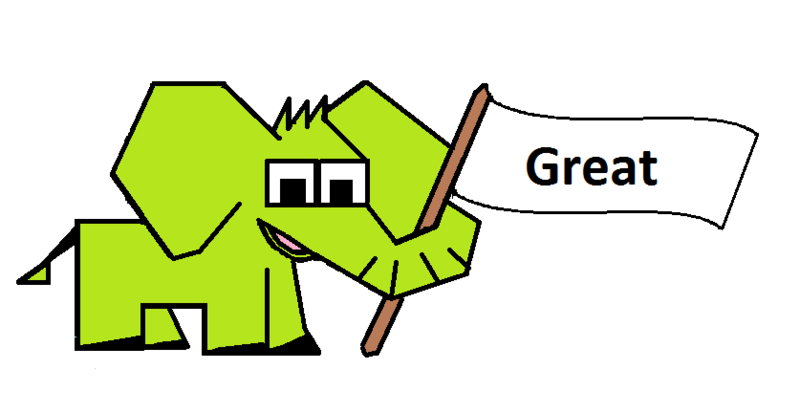 This is only true, if a green dot appears in the chip cutout, showing part of thief card. Otherwise, all colored points remains covered and hidden from sight. They he must close the window again and only after that move the token to the board. Based on any trace found, players may exclude characters of revealed cards, that do not have the item. Detectives can also find important information from a subject, that does not belong to thieves. If someone has it, then he most certainly will not be the one who made the robbery. And in order to choose from more character cards, some team members may choose second dice symbol to roll in their turn. If player succeeds, he will be able to turn two new suspicious cards and eventually discard them according to already known clues. Which is correct and which wrong is not noted anywhere – players have to remember this piece of information. Players are working together to try to get to the identity the offender. Once they are conviced of their truth, they can compare their suspicions with card hidden in the decoder. If they were right, they can now celebrate victory. Conversely, if they were mistaken or failed to reveal enough evidence before the fox arrived across the board into its burrow, the team of detectives has failed. 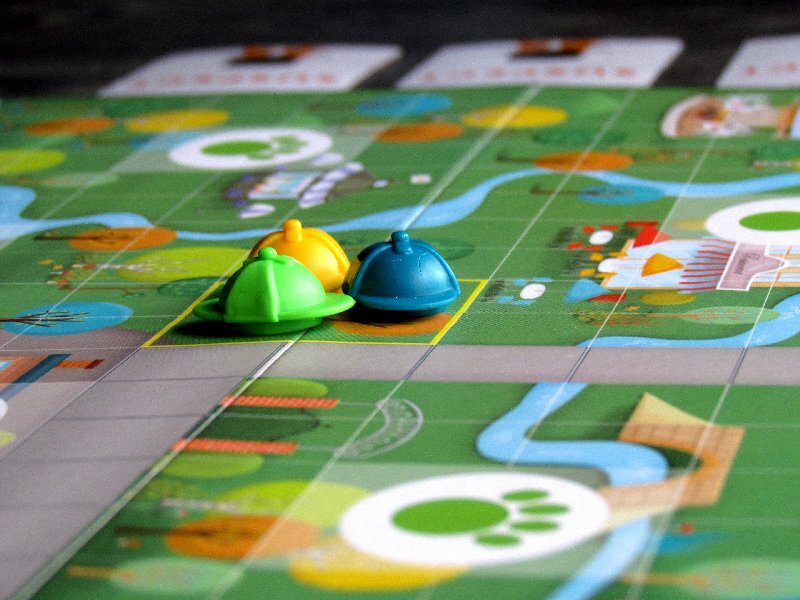 Outfoxed has all the necessary parameters of fun cooperative game for kids. Target audience here are five-year-old children, who can handle only basic computing. The game merely simulates deduction, and basically is only about elimination of suspects based on known facts. But the very element of teamwork is the moment that makes this game stadnd out and provides a great experience. The game delivers time pressure. Players have to choose one or the other option correctly before they start rolling dice. Achieving the result is a bit about luck. Only if the player fails to roll the desired results in four attempts, something bad happens and fox moves towards its hiding place. And since such a situation does not happen many times, basic version is really easy to complete. Fortunately, rules contain option to increase difficulty. You simply need to raise the number of fields that fox figurine moves in case of failure. This makes the game more challenging, although the number of meaningful choices and control over the game will not increase. But this is real fun for small players. Kids enjoy this game not only because of dice, but also with the effort to uncover the thief. And they really have fun doing it. Well, what more could we want as parents? Perhaps that the match usually takes about fifteen to twenty minutes, which is the ideal time to keep their attention sharp. During the game, you have to be sure, that children always follow the token control procedure. If they do not put the token before uncovering (or remove it before sliding the door), they will see directly thief card and the game is spoiled. But these are the basic rules that children can obey. At the same time, we need to emphasize great processing, whether we’re talking about figures or just about a deductive box. 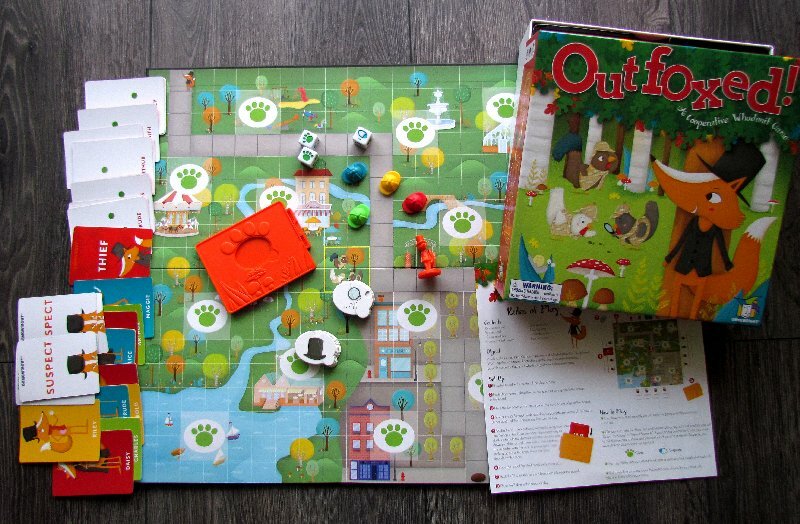 Outfoxed is an excellent kid game and a sure purchase for every parent. Simple and well-engineered gaming mechanisms along with strain of detective work. 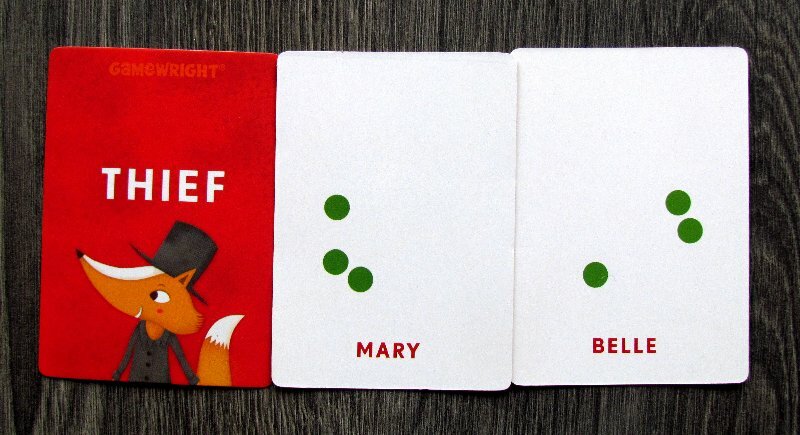 It all makes Outfoxed into a game that kids will return to again and again. 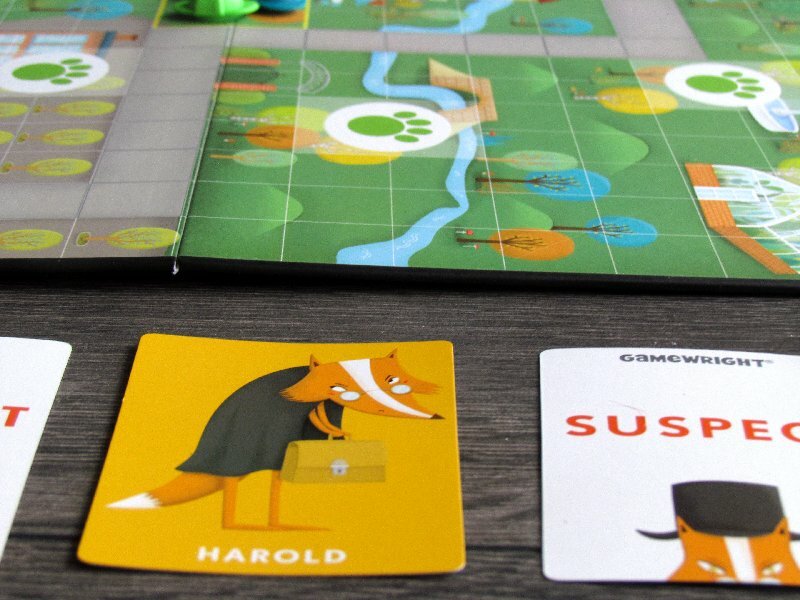 Outfoxed is a joy to play for all young detective enthusiasts. As a child's game, it works well and offers a solid variation of individual turns and also different matches. One game does not last for a long time, so children will not lose interest in the game. If they start winning too often, difficulty can be easily increased . 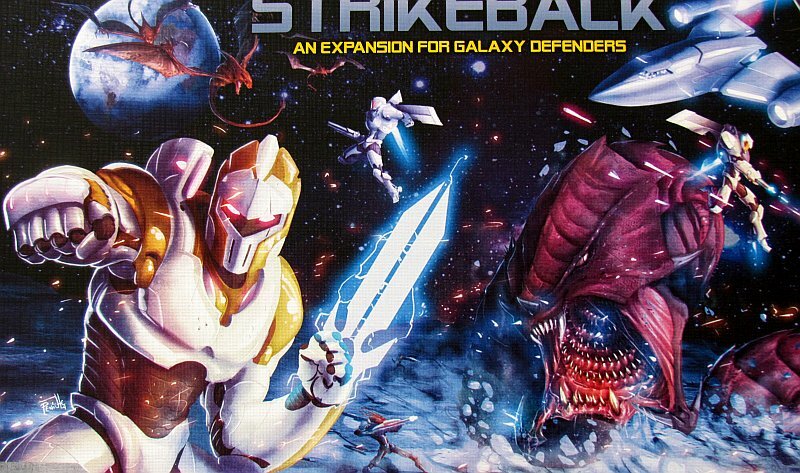 If you buy this game for your offspring, then you did not get tricked by some smart seller fox. Outfoxed is very well done game.